We are glad to announce that the 2010.10 version of Carte Blanche Ukraine map is now available for iGO 8 and CarteBlanche Navigator software! Number of POIs is increased to about 54 500. NNG, the developer of iGO navigation software, and Carte Blanche Ukraine, the supplier of the Ukrainian map for this software, report the results of their anti-piracy campaign for the previous month. First of all, cooperation with the State Department for Economic Crime has been established. Pavlo Mykolyuk, the Outside Counsel of Carte Blanche Ukraine, has organized trainings devoted to revealing illegal software for the police officers in several districts of Ukraine, the total amount of the participants exceeds 300. The police forces have inspected a number of retail stores in Kyiv. Distribution of PNDs with illegal iGO software has been stopped in 5 outlets, including popular Kyiv markets (automotive goods market and hardware market) as well as several Internet-shops. Dozens of navigation devices with preinstalled pirated software and PCs containing this software have been seized. Therefore, distributing illegal software has become unprofitable. Firstly, if such software is revealed by the police, all devices containing illegal copies are confiscated. Secondly, fines for illegal activities are significantly higher then the possible profit from pirated software distribution. In addition to financial losses, there is a risk of a criminal case initiation against the violators. One more thing to remember is the damage caused to the company record. At the same time with the anti-piracy campaign, Carte Blanche Ukraine continues the loyalty program for the users, allowing to legalize iGO software for a special price. Kyiv Police Forces in cooperation with Pavlo Mykolyuk, the Outside Counsel of Carte Blanche Ukraine, have recorded the distribution of PNDs with illegal iGO software in www.gps-ck.com.ua Internet shop. In the course of inspection the police officers have revealed and seized 12 devices. At the moment the seized products are being examined, and after the examination is finished a decision regarding a criminal case against the violators according to Article 176 of the Criminal Code of Ukraine (Violation of Copyright and Allied Rights) will be taken. 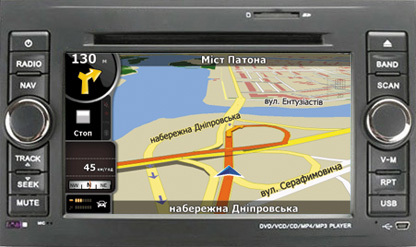 iGO Primo, the latest navigation software from world-famous NNG company, is available in Ukraine. At the moment it is supplied with NavOn personal navigation devices. The core technology of iGO Primo is based on the award-winning iGO software engine, which has been installed on millions of devices around the world. It has all the advantages of the popular iGO 8 software, such as automatic route calculation to one destination or through several points, voice guidance in various languages and an extended POI database, as well as a number of useful new features. Free Extra Content with Maps on Naviextras.com! Free extra content is offered to the users who purchase the map packages of Europe (including Eastern Europe), South East Asia, Brazil, Hungary, North America, Russia and Columbia through naviextras.com portal. The free extras include digital elevation model, safety camera databases, 3D landmarks, 3D city maps and premium POI, provided that they are available for the chosen region. Please note that the special offer is valid from 24th to 30th of November. The police forces have recorded the fact of distribution of GPS navigation devices with preinstalled illegal iGO software and navigation maps on “Radiolubytel’” market in the Kyiv. In the course of the inspection 25 navigation devices with illegal software, a notebook used to install it and SD cards with copied maps of Ukraine, Russia and Europe were seized. At the moment the seized products are being examined and evidence is being collected in order to initiate a criminal case according to Article 176 of the Criminal Code of Ukraine (Violation of Copyright and Allied Rights). In the nearest future it is planned to inspect other Kyiv markets and retail shops for illegal iGO distribution. Special Offer: Change Pirated iGO for the Licensed One! From October 21st, a special offer «License is Affordable» is started by Carte Blanche Ukraine, the developer of the Ukrainian map for iGO software. According to the special conditions, the users of pirated iGO navigation software copies can purchase the licensed versions with a discount up to 50% instead of the illegal ones! iGO software enjoys well-deserved popularity all over the world. It is convenient, easy to use and includes a number of various useful navigation functions. iGO is equipped with a detailed map of Ukraine or the whole Europe and is compatible with a wide range of navigation systems. Due to its popularity the software is exposed to pirate attacks, and its illegal versions are not only available in the Internet, but are sold in numerous retail stores as well. A user who purchases such copy is deprived of free updates, manufacturer warranty and technical support, as well as risks to encounter incorrect software operation and even navigation device faults. The special offer is associated with the launch of a campaign against pirated iGO distribution aimed at dishonest sellers, which is held throughout Ukraine. At the same time, the customers who accidentally purchased the pirated versions are provided with special discounts to change the software with the legal one. The aim of our special offer is to give the users an opportunity to legalize navigation economically and enjoy all the advantages of the licensed version. The customer receives a quality product for a favorable price and at the same time contributes to the further development of the map and the software. For more details please visit our Special Offer Page. Kyiv, October 13th 2010 – NNG Llc., the developer of popular iGO 8, iGO primo and iGO amigo navigation software, authorized its official distributor and manufacturer of the map of Ukraine, Carte Blanche Ukraine to protect NNG copyright on this software in Ukraine. For this purpose Carte Blanche Ukraine appoints Pavlo Mykolyuk, a lawyer specialized in the field of intellectual property and the Director of Vindex company, as its Outside Counsel. “I regard methodical support and proactive education of the police officers in the field of IPR offence recording as my top priorities. In the nearest future sample purchases of the navigation devices with stolen software will be inevitable. Internet portals distributing such software versions will be taken into account as well”, – Pavlo Mykolyuk says. Iryna Iekymova, the General Director of Carte Blanche Ukraine Ltd., emphasizes: “In fact, the market legalization campaign started much earlier. At the first stage it was aimed at increasing the market awareness of the software features and customer loyalty to our products through close cooperation with mass media and participation in specialized exhibitions. What is more, during the last three years the cost of the software was substantially reduced, the detailed coverage of Ukraine was increased from 12 to 248 settlements, 12 free updates were provided to the users. However, a large number of sellers distribute stolen software versions, depriving the users of map updates, warranty on the software and technical support and leaving the developers without a financial base for further map improvement and enhancement. Therefore, Carte Blanche Ukraine Ltd. as the map developer and NNG Llc. as the software developer are forced to make the next step and start fighting with illegal distribution of our products. For the users who have unwillingly purchased illegal iGO versions we continue our loyalty program. From 21 October such users will be able to purchase the legal software for a special price in exchange of the pirated one they have”. Thousands of GPS navigation devices featuring pirated iGO 8 software were confiscated by the Spanish police in mid-September during their operation called “Operación Satélite”. The pirating Spanish company even shipped devices to the largest chain stores. A total of 4,111 PNAs were confiscated during the operation called “Operación Satélite”, conducted by the Madrid police forces in cooperation with SNB REACT and IPR Consulting on September 15th. One person was arrested, and criminal proceedings have been started against two others. The Spanish police carried out searches at a number of locations in Madrid as well as in several smaller settlements, at the direct addresses of the trading group, the central offices of related companies, and at larger points of sale. Marketed by the Spanish firm, the packaging of the cheap, Chinese PNA products indicated that the devices featured iGO 8 navigation software. However, the devices did not contain a legal version of the software but a popular pirated one. At one of the search sites, several thousand empty boxes with illegally used NNG trademarks were also seized. Not only were the devices loaded with pirated software, but their packaging also infringed NNG’s trademark-related rights, and as such, possessing and selling them is against the law. This case has probably affected large numbers of people as many of the customers would have believed they were buying GPS devices with genuine software. With pirated software, however, they are not entitled to any product support or map updates. How to check if your iGO navigation software is genuine? IPR Consulting recommends that users should ask for proof of the originality of the software prior to any purchase, and – if it is not indicated – find out what kind of software is offered with the device. NNG and IPR, their trademark protection representatives, inform customers that they can check the software’s product support and authenticity on the www.naviextras.com portal. It is advisable to visit www.naviextras.com immediately after purchase. After connecting the device to the computer the system will recognize the software if it is genuine. IPR Consulting would also like to emphasize that any products which infringe the rights of NNG may be seized and destroyed by the authorities when they are imported into the EU region. Information from the official NNG Llc. website. We are glad to announce that the 2010.07 version of Carte Blanche Ukraine is now available for iGO 8 and CarteBlanche Navigator software! Therefore, at the moment the detailed coverage of the map contains 248 settlements, including all regional centers and major cities, or 41.4% of the Ukrainian population. In 6 cities 3D view of buildings is available. The map includes the full coverage of three districts in Kyiv region (Boryspil', Kyiv-Svyatoshyn and Obukhiv), as well as a uniquely detailed coverage of in-block passages in Kyiv. The total length of road network constitutes 418 000 km, including a substantial number of grade-separated intersections and unpaved roads. Legal users of iGO 8 and CarteBlanche Navigator software can download the update from the official map update portal of NNG company. For iGO 8 users a single time update costs 14.95 USD and a 1-year update subscription (up to 4 map updates) costs 19.95 USD. The update is available free of charge to the users of CarteBlanche Navigator software. Once again we thank our customers for the feedback and proposals on how to improve the map. Suggestions that were not taken into account in this version of the map will be considered in the next releases. Hurry to change to Garmin® NT map format before 21 July 2010! Let us remind you that all legal users of CarteBlanche Ukraine map versions 3.60 and earlier are entitled to change to the map in Garmin® NT format free of charge, provided that the navigation device is compatible with this format. The change is available before 21 July 2010 only, after that it will be impossible. As it has already been announced, the maps in the old format are no longer updated. 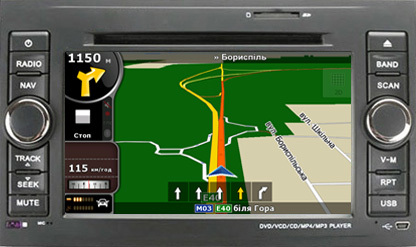 Map versions starting from 2009.09 are available to Garmin® NT map users only. A new map version with detailed coverage of 247 settlements will soon be available to CarteBlanche Ukraine NT map users. In this version, building footprints will be added in Luhans’k, Mykolaiv and Chernivtsi and street and road network as well as address search will be updated in a number of cities. We are glad to announce that on official NNG portal there is a possibility to rent a navigation map for 1-month term. Just like purchasing additional maps or updates, the rent is performed on-line. You download a fully functional licensed map version, which is blocked after the rent term has expired. The renting price is more than twice lower compared to the full cost of the map, so you can save a lot if you only plan one trip to a certain country in the near future. The majority of maps are available for rent, including the map of Ukraine and the map sets of Europe and Eastern Europe, including Ukraine. Let us remind you that the legal users of iGO 8 and CarteBlanche Navigator software can update the map of Ukraine free of charge and purchase the maps of other countries through portal. We are glad to announce that the 2010.03 version of Carte Blanche Ukraine is now available for iGO 8 and CarteBlanche Navigator software! A significant number of feedback messages from the users taken into account. Therefore, at the moment the detailed coverage of the map contains 180 settlements, including all regional centers and major cities, or 39,6% of the Ukrainian population. In 5 cities 3D view of buildings is available. The map includes the full coverage of two districts in Kyiv region (Kyiv-Svyatoshyn and Obukhiv), as well as a uniquely detailed coverage of in-block passages in Kyiv. The total length of road network constitutes 413 000 km, including a substantial number of grade-separated intersections and unpaved roads. Legal users of iGO 8 and CarteBlanche Navigator software can download the update free of charge from the official map update portal of NNG company. This year Carte Blanche Ukraine Ltd. participated in the 18 Kyiv International Motor Show SIA’2010, the major automotive event of the year. The exhibition has been a success, it had about 400 participants and more than 150 000 visitors during 4 days of operation. Thousands of visitors attended Carte Blanche Ukraine company booth. At the exhibition a significant price reduction on CarteBlanche Ukraine NT map for Garmin® navigation devices was announced. Carte Blanche Ukraine company booth attracted the attention of both numerous map users and potential partners. The visitors could learn about the company products and receive a consultation from technical experts on all issues of interest to them as well as qualified assistance in choosing a most suitable navigation system or software. CarteBlanche Navigator software for a range of PNDs and car multimedia systems appeared to be of particular interest to the users. We are thankful to all our visitors for their interest in our products! Carte Blanche Ukraine Ltd. is participating in the major automotive event of the year: 18th Kyiv International Motor Show SIA’2010. The exhibition takes place on May 27 through 30 in the International Exhibition Centre situated in Brovarskoy Ave., 15. Welcome to our company booth G-05 in pavilion # 3! update your map and iGO software. All users of the navigation devices and those who are interested in GPS navigation are warmly welcomed! We are glad to announce that for the beginning of the tourist season we have prepared a new version of CarteBlanche Ukraine NT map 2010.03 for Garmin® navigation devices! Therefore, at the moment the detailed coverage of the map contains 180 settlements, including all regional centers and major cities, or 39.6% of the Ukrainian population. In 5 cities 3D view of buildings is available. The map includes the full coverage of two districts in Kyiv region (Kyiv-Svyatoshyn and Obukhiv), as well as a uniquely detailed coverage of in-block passages in Kyiv. The total length of road network constitutes 413 000 km, including a substantial number of grade-separated intersections and unpaved roads. On the 7th of April Carte Blanche Ukraine Ltd. participated in a presentation of the navigation-oriented smartphone Garmin-Asus® Nuvifone M10. 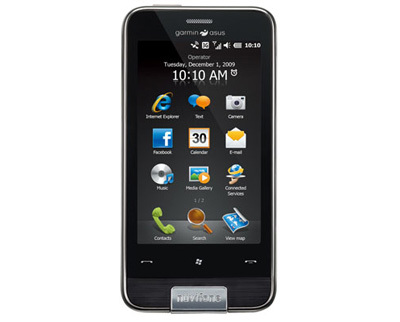 Garmin-Asus® Nuvifone M10 is equipped with a speedy 600 MHz processor, 4 GB of in-built flash memory and a high-capacity 1500 mAh battery. The smartphone also has a slot for a microSD memory card. The device works under the business-oriented Windows Mobile 6.5.3 operation system. It is specialized for GPS-navigation and includes a built-in Garmin® navigation system, which provides the user with voice guidance including turn notifications along the route. The software contains street names, has a convenient road junction display mode and helps to choose an optimal traffic lane. Nuvifone M10 is supplied with a pre-installed map of Ukraine produced by Carte Blanche Ukraine Ltd.
Map updates are provided to the device users free of charge. The fresh version of Carte Blanche Ukraine NT map 2010.03 includes the general coverage of Ukraine and detailed maps of 180 settlements (39,6 % of the Ukrainian population) with address search, including all regional centers and all cities with more than 180 thousand inhabitants. A characteristic feature of the map is 3D visualization of buildings in 5 Ukrainian major cities! Carte Blanche Ukraine took part in the round table “Software: Protection of the Developers’ Rights”, which was held in Kyiv by the Conference House Company with the assistance of the Business Software Alliance, the Microsoft Corporation, the Ukrainian Bar Association and the Association of Information Technology Enterprises of Ukraine. The aim of the discussion was to work out strategies of software copyright protection with the combined forces of software developers, lawyers and state regulatory organs. The issues of software copyright registration, distinguishing the illegal software and the correct record of its use were discussed. It should be mentioned that in the recent years the struggle against illegal software production, sale and use has advanced substantially. In particular, massive anti-piracy campaigns are being led by Microsoft, ABBYY, Adobe and other international corporations. The Hungarian company NNG, the developer of iGO 8 software, has recently initiated a major anty-piracy operation as well, in the course of which, in particular, three illegal iGO distributors were seized at CeBIT exhibition. 2009.12 map version is now available for the users of iGO 8 and CarteBlanche Navigator software. Thus, detailed coverage of CarteBlanche Ukraine map covers 125 settlements where 18 millions or 39.2% of the Ukrainian population live. Total length of road coverage is more than 409 thousand km. Hungarian company NNG presents iGO primo™ to OEM partners – an easy-to-use navigation solution that features the company’s latest technological advancements. This year’s product highlight enables OEM partners to provide a rich and innovative feature set to discerning customers who seek the utmost in quality. iGO primo™ is built on the same concept of simplicity and an intuitive user interface that was introduced with iGO amigo™ in 2009. The latest product now adds over 30 new features and hundreds of enhancements to the iGO My way engine without compromising the simplicity of the innovative user interface. The new flagship in NNG’s navigation product line guarantees solutions tailored to the needs of OEM partners by providing each with unique Graphical User Interfaces (GUI). Optional features such as truck and fleet navigation further meet the increasing demands of GPS device manufacturers. Among its many innovations, iGO primo™ introduces Driver Alerts that increase safety by providing advance display of warning traffic signs and realistic junction views. In addition, the new high definition terrain visualization dramatically enhances the rendering of distant terrain. iGO primo™ also features the brand-new Smart Route calculation for optimal routes depending on the time of day and day of the week, using either historic Speed Profiles from Tele Atlas or Traffic Patterns from Navteq. As with previous NNG products, the freshest maps are guaranteed directly to the end-user through the naviextras.com map update portal. Garmin® Ltd. announces that it will begin offering BirdsEye™ Satellite and Aerial Imagery, a service that gives users the option of loading highly-detailed photo-based maps to some Garmin® handheld navigators. The new service is based on raster images provided by DigitalGlobe, which are scanned, geo-referenced and overlaid onto the handheld GPS receiver’s display. The resulting images depict actual buildings, roads, trails, and land features found nearby. The images are among the most highly-detailed available and offer 0.5 meter per pixel resolution in some areas; what is more, users can view them at every zoom level from 6 meters to 19,3 km. BirdsEye Satellite and Aerial Imagery will be of special interest for fishers, hikers, tourists and travelers, giving them a unique understanding of their surroundings, impossible when using vector maps. 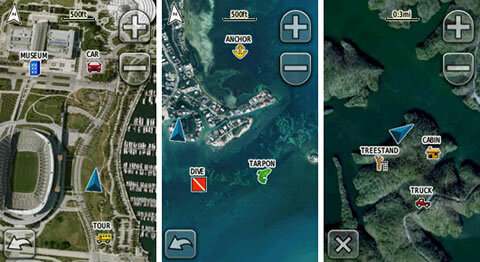 The imagery can be displayed on Garmin®’s Oregon® Dakota™ and Colorado® series of outdoor navigators. The users will be able to download data without limitation for a single Garmin® device. Customers can use Garmin®’s free BaseCamp™ application for the PC or Mac OS X to quickly load, easily manage and view BirdsEye data. The service will be available in March 2010, the annual subscription is $30. NNG Company, the developer of iGO 8 navigation software, offers a 1-year map update subscription for Europe and North America maps for the price of a one-time update. This subscription, available to all legal users of iGO 8 software with the maps of these regions, gives the right to download all the released updates during 12 months after the purchase date (up to 4 quarterly updates) and install them to the same navigation device. The prices for one-time map updates are also reduced. We take this opportunity to remind you that legal iGO 8 users can purchase the updates for their map packages or single countries, as well as additional maps, through the official NNG map update portal. As before, the map of Ukraine is updated free of charge.